By the time of the late Roman empire, the Jutish tribes are thought to have replaced the earlier Germanic Cimbri peoples in modern northern Denmark, migrating there from along the German Baltic coastline from the direction of Poland. Their territory in Jutland probably stretched as far south as the River Kongeaen in central Denmark, beyond which was the domain of the Angles. They may also have absorbed elements of the Charudes tribe, which had occupied areas of north-western Denmark in the first century AD. The Jutes (a modern form of the name) are first mentioned by Tacitus (Germania) about AD 98, where they are referred to as the Eudoses. They are also known as Eote, Ytene, Yte, or Iutae in various writings, with Old English particularly responsible for mutating the original form, either into Anglian English, West Saxon English, or Latin. Modern scholars have also produced Uitones and Heutones (both possible mistranscriptions of Nuitones) as reasonable alternatives. In the original form, the name probably means 'giants', seemingly a reference to their height and stature. The Jutish name was also sometimes confused by medieval writers with that of the Geats, but while they are almost certainly a separate peoples, there is the possibility that they and the Geats were related, even though the latter are usually though to be a Scandinavian, people (all of whom have roots amongst the Germanics anyway, albeit with later additions). Edward Dawson theorises that the Jutes were originally a mountain tribe which emerged from the mountains in the Alfheim area (long before that name emerged in the form of a Viking kingdom). Darwinism produced a tribe of mountain-dwelling people who were hardy and tall, earning them their name - 'the giants' - and providing the legendary name for Jötunheimr, the home of the giants in Norse mythology. This location places them on the border between Norway and Sweden, with direct access to the Skagerrak, the straight between southern Norway and Sweden on one side and Denmark on the other. This in turn gave them access to the Baltic Sea along which they migrated to reach the southern Baltic coastline of what is now eastern Germany. 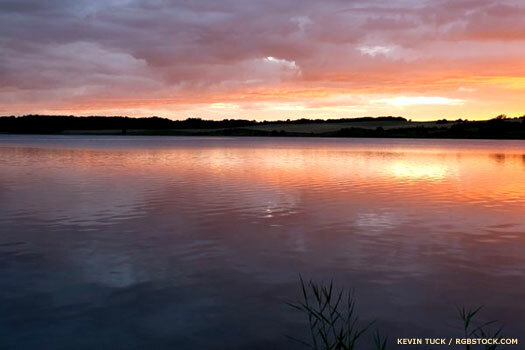 From there they migrated westwards into the Cimbric Peninsula to give their name to Jutland. The area which the Jutes abandoned in the fifth century continued to be known as Jutland by the Danish peoples who eventually replaced them there. In fact, the region remained distinct and peculiar even after Scandinavianisation, separate from the rest of Denmark for several centuries. A large-scale incursion of the sea into Jutland in this period is known as the Cimbrian Flood. It permanently alters the shape of the coastline and drastically affects the way people live in the region. It is probably this event (which is ascribed by some scholars to 307-306 BC) which affects the Germanic Teutones in the centre of the peninsula and their northern neighbours, the Cimbri, enough to force both their kings, Teutobod and Boiorix respectively, to lead large numbers of their people in a southwards migration. Writing around this time, the Roman writer Tacitus mentions the Suevi, listing their constituent tribes which cover the larger part of Germania. Noted for their custom of twisting their hair and binding it up in a knot, 'the seven tribes of Jutland and Holstein': the Angles, Aviones, Eudoses, Nuitones, Reudigni, Suardones, and Warini, form a part of the Suevi host. The Jutes are conspicuous by their absence in this list unless of course they are the Eudoses. But in addition, several scholars and modern authors have put forward the reasonable theory that 'Nuitones' is in fact a mistranscription of Eotan, and that therefore the Jutes are indeed mentioned (the full reasoning for this and the details for the Nuitones are shown in that page). The Jutish peoples migrate from the Baltic and northern German coast into Jutland in modern Denmark. The greatest period of their migration is probably after the 270s, when the Goths are divided by the incoming Gepids, an event which triggers population movements that are worsened by the arrival of the Huns in the later part of the fourth century. The Dene, or Danes, migrate during this period from southern Sweden into Jutland and the Cimbric Peninsula. The migration comes at a time when Danish rule is fragmented and new dynasties of rulers are emerging, and the move puts the Jutes under increasing pressure in the competition for living space, forcing them south and westwards where they appear to fall under the overlordship of the Angles. In this period the Jutes are often also closely associated with the Frisians, possibly because many Jutes appear to leave their homeland in this difficult time to seek employment or settlement elsewhere, most notably with the Frisian royal household (where they are present on both sides in the conflict of c.448). Other groups of Jutes appear to enter Danish service, placing the same people on both sides of any Dano-Frisian conflict. Possible (last, vassal) ruler of the Jutes as mentioned in Widsith. Hnæf of the Danes is killed at the Freswæl ('the Frisian Slaughter' which is better know today as the Fight at Finnesburg) in Frisia, as is Finn's eldest son. Finn is subsequently killed by Hengist, great-grandson of Wehta and Hnæf's Anglian comrade in arms. Hnæf himself appears to have mixed heritage, with one of his parents possibly being a Jute, perhaps not too uncommon an event as the Danes migrate into territory which is already inhabited by Jutes and Angles. The fight itself seems to involve Jutes on both sides, under Dano-Anglian and Frisian command, with Gefwulf numbering amongst the former and what appears to be his son (or grandson, given the likelihood of the existence of one Guthulf in between them, as conformed by Alan Bliss & JRR Tolkien in The Fragment and the Episode). It seems that both of Gefwulf's descendants have led a number of warriors into exile to serve new masters, but an examination of the Fragment suggests that they fight here on different sides. Garulf is the first to be killed, charging the hall which contains his grandfather despite exhortations to hold back. Probable son and almost certainly exiled. Killed at Finnesburg. Under the leadership of the Anglian prince, Hengist great-grandson of Wehta, the Jutes emigrate en masse to south-eastern Britain, where they form the bulk of the Germanic population of the kingdom of Kent. Another colony, called the Meonware, is founded in Hampshire on the south coast of the country. These people come to be integrated into the West Seaxe kingdom, while Jutland is apparently left deserted. Jutland probably did not remain deserted for long following the Jutish exodus to Kent in the mid to late fifth century. 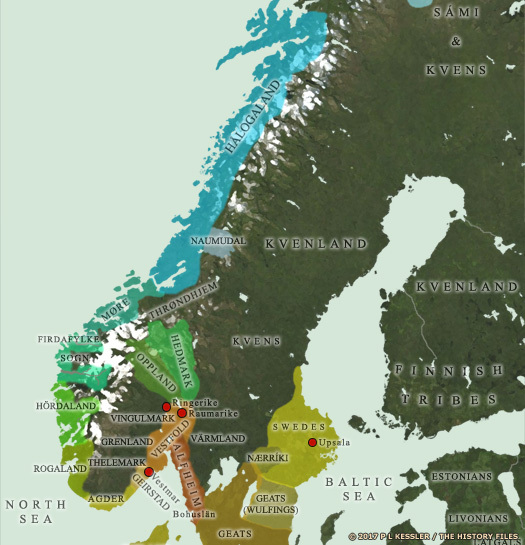 Within half a century Danish groups, which had already started to migrate into the Cimbric Peninsula from Scandinavia in the fifth century, were helping to create what seems to have become a minor kingdom or sub-kingdom in its own right. Jutland, the northernmost point of the peninsula, was governed by a prince of the Danish royal house, sometimes hostile to the Danish throne. 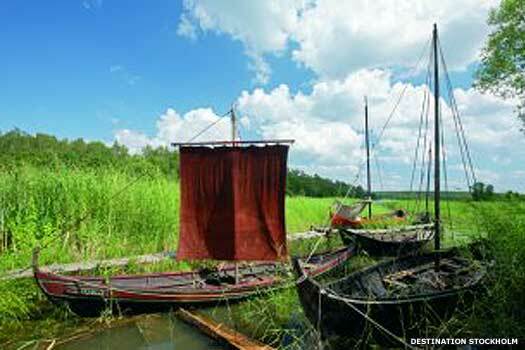 The position was inherited by his descendants until the mid-ninth century, when it was apparently drawn directly under the control of the Danish king. Shakespeare's 'Hamlet' was drawn from the princes of Jutland, based on the work of Saxo Grammaticus: Gesta Danorum. Grammaticus completed his work at the start of the thirteenth century, although his sources are unknown. It seems to be a little late for it to be a purely oral tradition, so at least some of it had probably been written down. The earlier Chronicon Lethrense probably served as a strong source of the work, as did a Scandinavian version known as Hrólfs saga kraka. It is also possible that the story reached English ears via Ireland, following the Viking invasions and the creation of the kingdom of Dublin. Probable first Danish prince or king of Jutland. It seems a remarkable coincidence that the first prince or king of Danish Jutland should bear almost exactly the same name as the last ruler of the Jutes before him, and in exactly the same region. Are the figures one and the same (unlikely given the presumed time span), or is there a familial connection, either through Jutish blood alone (since lost to history), or via a Danish intermarriage? At the court of Hrothgar of the Danes. Possibly named after the famous Frisian king. By now the Heruli appear to have moved to the far north of the Cimbric Peninsula, into Jutland, apparently expelled by the Danes further south. Their new settlement could be in the Maelar Valley on the northern trade route. Their subsequent entry into Sweden is poorly documented. It seems a coincidence that there is a Rorik here at the same time as Rurik Slyngebard sits on the Danish throne, so it seems likely that they are one and the same person. However he gets his information, Saxo Grammaticus places Gervendill in Jutland as prince or governor during Rorik's reign. According to Saxo Grammaticus, Horvendil returns from a Viking expedition in which he has killed Koll, (a) king of Norway and marries Gerutha, daughter of King Rurik Slyngebard of the Danes. His brother, Fengi, murders him through jealousy and persuades Gerutha to marry him. Although the story is close to the later version by Shakespeare, it ends with the death of Amleth in battle against Fengi's successor, Wiglek. These events may or may not happen at this time; there is the possibility that they instead survive in oral form from the beginning of the fifth century, when the Angles and Jutes inhabit the region. Brother. Murdered his brother. Killed by Amleth. Son of Orvendil. Shakespeare's 'Hamlet'. Saxo Grammaticus' successor to Fengi. Wiglek is claimed by the Danish Chronicon Lethrense as the son of Rurik Slyngebard of Denmark. This may be true, but the name is also confused (and combined) with that of Wihtlaeg, king of Angeln and son of Woden. As there is an approximate gap of two centuries between the two figures it would seem that an error is made between the oral tradition and the later written version of the names involved. Alternatively, the earlier Wihtlaeg is a mis-remembering of this possibly historic Wiglek and has been drawn into Anglian genealogies because of his later fame. Possibly the same as Eric, king of Denmark. Eirik may be the same person as King Eric (I or II) of Denmark. This would explain why the principality is drawn under the direct control of the Danish throne at this time. However, this Eirik is also claimed by Norse sagas as the father of Ragnhidr (Ragnhild), the wife of King Harald I Fairhair of Norway, whose son by her is Eric Bloodaxe.